CarloGavazzi control products in India authorized distributors. Carlogavazzi products like CarloGavazzi SMPS, Monitoring Relays, Timers, Current Transformers, Digital Panel Meter DPM, Energy Management, Energy Meter, Sensors, Safety Modules in India. These products are widely used in several industrial applications like HVAC, building automation, lifts, renewable energy sector etc. 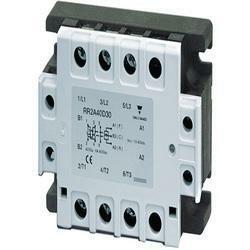 Carlogavazzi analog current transformers has 4-20mA or 0-10V output in proportional to input current we have ranges starts from 5A-500A MPS. Cable/Bus-bar type current transformer with DIN-rail/busbar and panel mounting facility. Carlogavazzi current transformer our major customers are presented in all over India. We are covering the following areas like Carlo gavazzi Chennai, Madurai,carlo gavazzi Andhrapradesh, Telangana, Meanwell India, Fotek Coimbatore, Carlo Gavazzi Pondicherry, Carlogavazzi Bangalore/Bengaluru, Hubli, Fotek Sensors, Hyderabad, Vizag, Carlogavazzi Mumbai, Biwadi, Carlo gavazzi Delhi, Pune, fotek Noida, Haryana, Faridabad, meanwell Ghaziabad, Carlogavazzi Gujarat, New Delhi, Baddi, Indore, Surat, Carlo gavazzi Ahmadabad Vadodara, Vapi, Fotek Tamilnadu, Carlogavazzi Maharashtra, Meanwell Kolkata, Westbengal, Udaipur, Jaipur, Carlogavazzi Punjab, Silvassa, Ludhiana, Kashmir, Carlogavazzi Goa, Jharkhand, Odisha, etc. We provide Modular Energy Management Systems to our clients. Plug and play modules common to all, providing maximum in-field flexibility. In addition to the obvious need to improve the performance of the measuring instruments to keep them up-to-date with state of the art technology, it is important to offer user friendly instruments easily and quickly adaptable to the applications and management needs of the customers. To meet these needs we offer a new modern range of instruments which, according to the various criteria of signal processing and displaying, can be modified into transducers, indicators or controllers. We are remarkable entity, engaged in offering superior range of Control Relays. 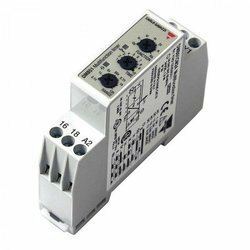 These relays are an electronic device which can be used to detect and monitor physical values or electrical values. Our offered relays are manufactured by our vendor’s skilled professionals using high grade components and latest technology in compliance with the industry quality standards. In addition to this, our provided relays undergo various tests under the supervision of quality controllers to ensure their flawlessness. 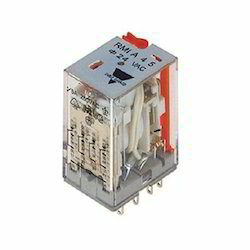 Clients can avail these relays from us in customized options and at market leading rates. Note - Price may vary as per application/specification and quantity. Carlo Gavazzi car park system had been done in India by Sree Dhanam Automation Pvt Ltd Chennai India.After from car park system we have several other projects like entrance automation, door & entrance automation, automatic gates application, vehicle detector etc. 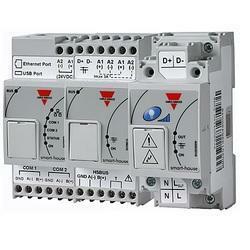 Carlo Gavazzi is a leader in HVAC market, wide variety of products for the HVAC sector. HVAC (heating ventilation and air conditioning) products from carlogavazzi are ssr, sensor, smps, softstarters etc. With Dupline, Carlo Gavazzi offers a complete bus solution, which is ready-to-use for small as well as medium-sized and large elevator companies. Dupline can be easily applied in all phases of a project and does not require PC’s or other advanced equipment, which most elevator installers are not trained to use. 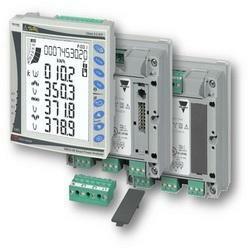 The Master Module interfaces Dupline® to any Elevator Controller with a RS232 or RS485 port. 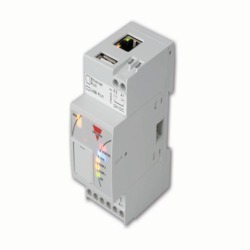 Carlo Gavazzi's Dupline® 3-wire bus makes elevator control systems simpler and more effective than traditional systems. Space and cost saving I/O-boards with 2 inputs and outputs are mounted in each floor fixture and connected to the push button and lamps. In the elevator car, where the number of signals is higher, boards with multiple I/Os are used. 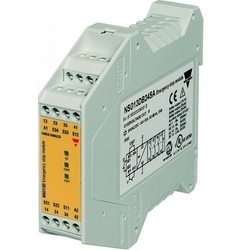 All the I/O-boards are connected to the same wire cable, which provides both 24VDC power for lamps and floor indicators and serial communication connection with the Dupline® Master Module. 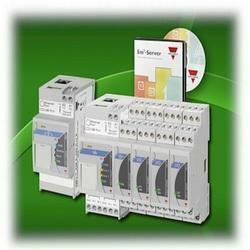 Carlo Gavazzi presents the most complete range of power supplies for the automation industry. To select them you only have to choose the output voltage and the output power. 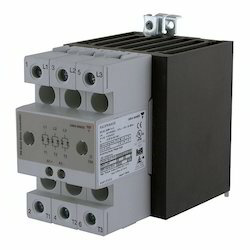 Power supplies are also available with 3 phase input specifically tailored for the automation industry. These products, as well as the single phase power supplies and the Enclosed type, feature very compact design, high efficiency and overall high specifications. The entire range carries full certification and offers a wide range of universal inputs and screw terminals connection. We are authorised distributors of Carlo Gavazzi Solid State Relay and other products in India. Our SSR are widely used in various applications all over the world. 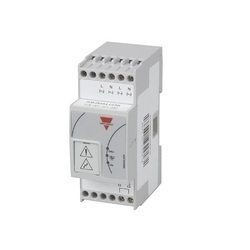 Solid state relay are mainly used in heating applications. We have all single phase ssr, three phase ssr & analog solid state relays. We are providing one year warranty for our products. Solid state relay (ssr) is a electronic switching device which is used in replacement of mechanical contactors for the same applications, since this ssr is a electronic switching device it doesn't have frequent failure,we can avoid noice by using solid state relay. Mainly this product used in heating,analog control,hot runner and several other applications. 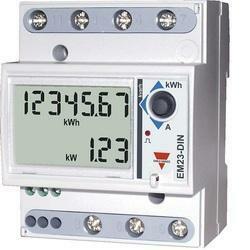 We are Authorized Distributor for Carlo Gavazzi India. Our major customers are presented in all over India. We are covering the following cities like Chennai, Madurai, Coimbatore, Pondicherry, SOLID STATE RELAY Bangalore, Hubli, Hyderabad, Vizag, carlogavazzi Mumbai, Biwadi,Carlogavazzi Relay Delhi, Pune, Noida, Haryana, Faridabad, Ghaziabad, Gujarat, Baddi, Indore, Surat, Ahmedabad, Vadodara, Vapi, Maharashtra, Kolkata, Westbengal, Udaipur, Jaipur, Punjab, Silvassa, Ludhiana, Kashmir, Goa, Jharkhand, Odisha, etc. In addition to our broad range of energy meters and power quality meters, Carlo Gavazzi also offers a number of software products for monitoring of a network of meters and transducers. This allows at-a-glance viewing of your complete power system. Power Soft is a network software for the management of up to 800 power analysers and energy meters. Its a platform for PC consisting of a main core and a series of optional modules. Furthermore Carlo Gavazzi offers user friendly specific instrument software to set up the relevant power analysers or transducers. 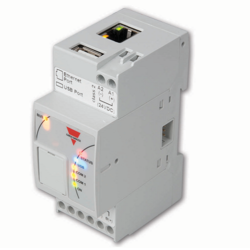 Finally the Carlo Gavazzi Energy management includes accessories such as Ethernet serial device server or Modbus Gateway and converters. We put forward a broad range of Timer Carlo Gavazzi that is manufactured in adherence with the set industry standards using advanced technology and optimum quality raw material. In tune with industry quality standard, we provide the entire range in various sizes and specifications, as per the requirement of our clients. It is used in motor control centers, packaging machinery, HVAC equipment, control panels, and process control. Our quality controllers perform a series of test on various parameters, in order to ensure the quality of this product. Apart from this, clients can avail the entire range from us at industrial leading rates. Carlogavazzi smps(switch mode power supply) distributor Sree Dhanam Automation Pvt Ltd Chennai India.Carlo Gavazzi Switch Mode Power Supply has slim type smps which will cover a area of single pole MCB even it has ready output which is an additional feature.Carlogavazzi all the models are din-rail mounting smps. Specification in detail is given below. Apart from power supply, Carlogavazzi has sensors, relay, energy meter, monitoring relays, timer, counter, temperature controller, solid state relay, analog ssr, analog sensor, safety light curtain etc. 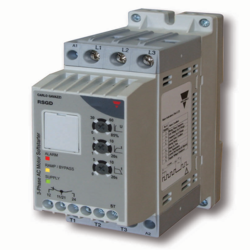 Carlo Gavazzi offers a comprehensive range of monitoring controls for monitoring of phase loss, incorrect phase sequence, phase unbalance, over/under current, over/under load, over/under frequency, and over/under voltage. Our products include current monitors, voltage monitors, power monitors, phase loss relays, and current transformers. These monitors are used in a wide range of applications for protecting motors against the damaging effects of single phasing and overloads (elevators, compressors, pumps, air conditioning systems, mixing tanks). They are also used for monitoring instrumentation signals (4-20mA, 0-10V), verification of machinery operation, detection of broken heater elements, monitoring of lights in critical areas (runway lights at airports), monitoring of ventilation fans, and in building automation systems. Focused on technological up-gradation, dynamism and innovation, we are moving ahead by maintaining timeliness in delivering a wide gamut of Safety Modules. They are available with up to 3 force guided relay safety outputs and are suitable for use in applications up to category. The offered modules are manufactured using high grade raw material and contemporary technology. We assure our clients that our modules are quality tested on predefined parameters, in order to meet industry standards. Apart from this, our prestigious clients can avail these modules, as per their needs, at highly competitive price. Carlogavazzi power supply distributor,dealer,supplier in india. 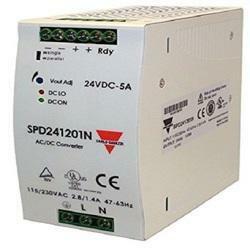 we also have SMPS,switch mode power supply, invertor, dc smps,ac-dc power supply etc. our power supply are having world wide certifications like CE, RJ, ROHS and other major certifications. we also deals with Meanwell power supply, SMPS, dc-dc convertor, ac-dc convertor, LED power supply, LED driver, LED smps in india etc. Carlogavazzi smps some of the models are SPD,SPM,SPPC etc. Carlo Gavazzi INDIA in building automation sector,Carlogavazzi had more scope in building automation sector in india with their sofasticated products.Some of the hvac products deals by them are ssr,scroll compressor,smps,solid-state contactors and more. Carlo Gavazzi Energy Management systems provide information so that operators can identify consumption trends and take corrective actions. Analysing the power profile operators can also aggregate loads and so negotiate more favorable terms with the utility company. Real-time power consumption monitoring also allows a site manager to anticipate overload conditions that would, for example, trip a circuit breaker. Alarm thresholds can be set to warn managers if preset limits are reached. Carlo Gavazzi Energy Management equipment meets the requirements of commercial buildings, Industry and production facilities, services and infrastructures.